LAKSHMI MADHAVAN HOSPITAL is one of the best hospitals in TIRUNELVELI and having 90 beds, provides the advance medical and surgical interventions with a perfect mix of inpatient and outpatient services. LAKSHMI MADHAVAN HOSPITAL is the one of the most preferred hospital for Child birth in Tirunelveli and also deals with all lot of complicated high risk pregnancy cases requiring multispecialty consultants. We understand the joy of motherhood and encourage the family to provide physical comfort and emotional support throughout child bearing and delivery. We have suites for delivery, recovery and neonatal intensive-care unit (NICU), intermediate care unit (IMCU) and round the clock medical and nursing care. We will fulfil your dreams, like a mother. And Specialist medical care will be provided for you and your baby. We provide state of art services in Labour theatre, Operation Theatres, Neonatal Resuscitation, Incubators, Open care systems, General surgery and support in ICU and NICU. We acknowledge that pregnancy is an exciting time for you and your family, and offers several options for maternity care to meet your individual needs. We offer holistic services for the reproductive health and gynaecological needs of women in a comprehensive, sophisticated and dedicated manner with highest emphasis on patient safety. High quality services for people from all walks of life at an affordable cost. General medical care like Hypertensive treatment, diabetic treatment are taken care by specialized consultants. 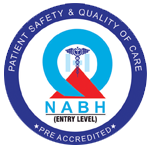 24 x 7 Intensive Neonatal Care and general Paediatric care. One to one care during hospital stay and two to one care during your delivery. Labour analgesia (Painless Labour) at request. Specialized attention throughout pregnancy in high risk patients. Encourage mothers to gain knowledge in correct immunization schedule for their children. Offer practical breastfeeding advice by dedicated lactation consultants. Offer physiotherapy exercise for normal delivery. Suggest nutritious food by dedicated dietician. Comprehensive health check up for new born before discharge by a neonatology paediatrician. Easy accessibility of consultant for emergency services. 24 x 7 emergency causality cares.